Ideal for use in waterfalls up to 10 feet in height, this ETL listed powerful pump is 30% more efficient than the average pump and features anti-clog technology that allows debris to flow straight through the pump with no clogging. 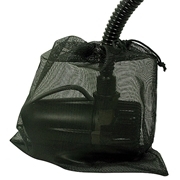 A free pump barrier bag is thrown in as an extra measure of protection and to simplify maintenance. 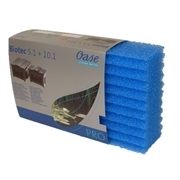 It is epoxy encapsulated for full submersion and maximum durability. This superior pump offers whisper quiet operation and easy maintenance allowing quick and easy access to all moving parts. 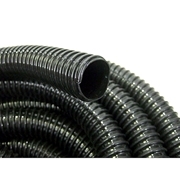 Its eco-friendly, oil free design makes it safe for plants and fish. Tubing Connections: 1" and 1 1/2"